Google Earth placemarks featuring archaeological survey map overlays, more. 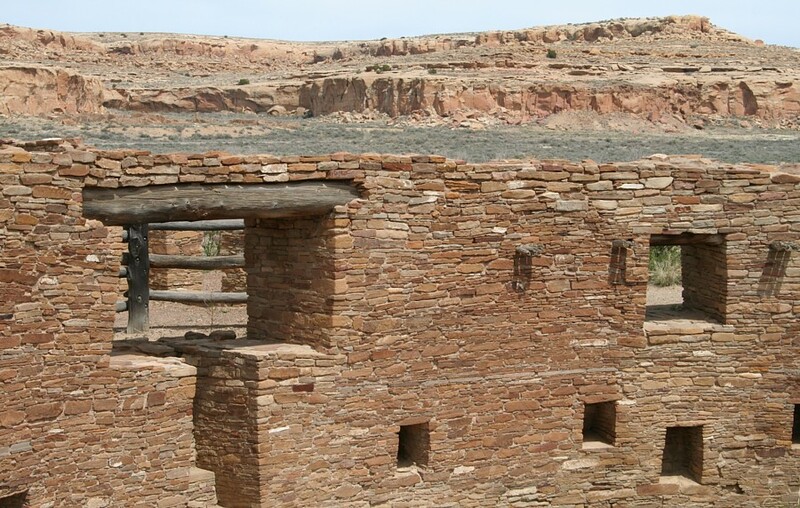 Photo Galleries: Chaco Canyon Betatakin Hovenweep Natural Bridges and more. Language and Culture (ASB 481) and taught by Dr. Elizabeth Brandt. The first two were chosen as model papers. Cyberspace is a Parallel World is a metaphor mapping and analysis project. The Rattlesnakes of Arizona is an ethnographic interview project. featuring several of my favorite crimes by our past president. 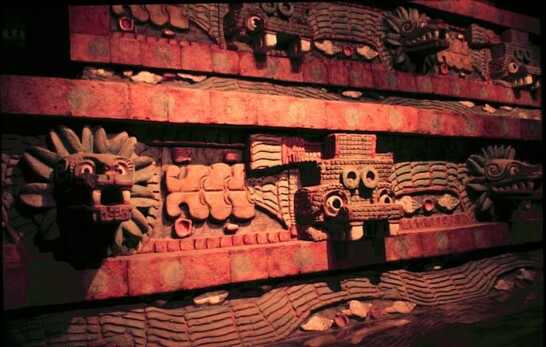 Photo galleries and articles about prehistoric Mexico and Central America. 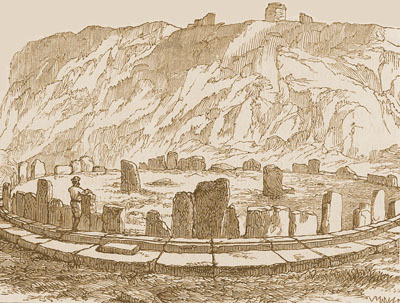 Rock surfaces employed by human artists preserve a graphic record of prehistory in Europe, Africa, Asia, Australia and the Americas. 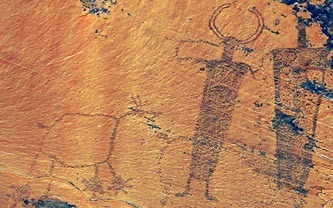 The southwest region of the United States has the greatest concentration of rock art in the Americas. In the dry desert environment, with its profusion of rock surfaces and shelters, an incomparable cultural legacy is preserved. 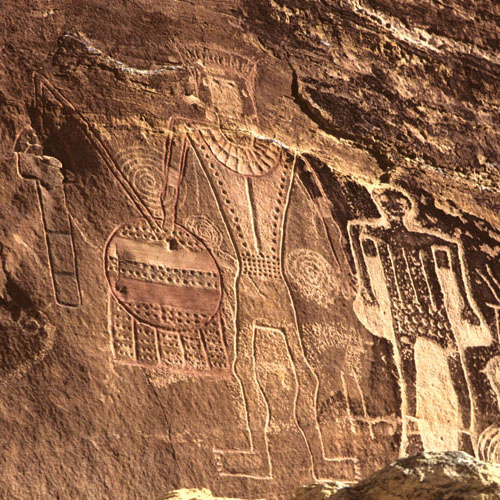 The Rock Art Pages feature some of the best rock art from the desert West and Southwest; from Washington, Oregon, Utah, California, Arizona, New Mexico and West Texas. Some of the pages contain numerous graphics. Listed file sizes include all graphics except the page surfing buttons. 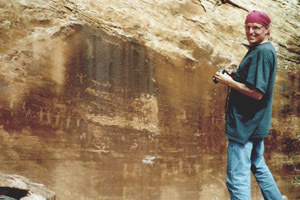 Grand Galleries of the Ancients An overview article about the Rock Art of the Colorado Plateau. This article contains graphics from all over the west, including thumbnail photos linked to larger slides. Pecos River Style Rock Art West Texas This photo gallery focuses on Pecos River Style Rock Art in Texas, near the confluence of the Pecos and Rio Grande Rivers. 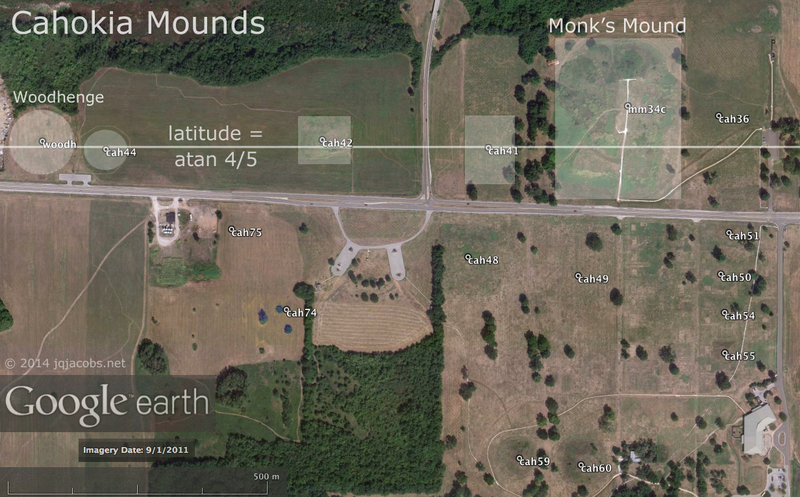 300 K of imagery. Page 1 An introduction to Barrier Canyon Style Rock Art focused on Canyonlands National Park. This page includes views of the Great Gallery and the Harvest Scene in the Maze District. Page 2 More about this style focused on sites found west of the Green and Colorado Rivers. 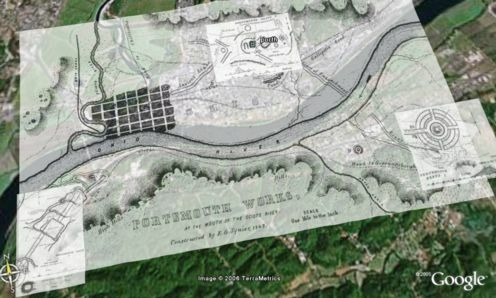 Buckhorn Wash and Sinbad panels are featured. Sites found east of the Green and Colorado River confluence. Sego Canyon, Courthouse Wash and Seven Mile Canyon are featured. Limited text. Some links. Page 1 Sites in the immediate vicinity of Vernal, Utah, with a discussion of Classic Vernal Style. Ashley Creek and Dry Fork sites are featured. Page 2 Sites in the vicinity of and within Dinosaur National Monument. 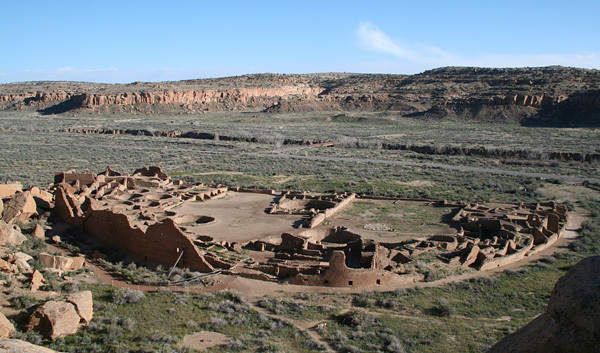 McKee Springs and Rainbow Park area sites are featured. Grand Gulch Primitive Area I This page covers the upper portion of the canyon, above the junction with Bullet Canyon. Green Mask site is featured. Grand Gulch Primitive Area II Rock art in the lower half of the Canyon, from Step Canyon to Red Man Canyon. Quail Panel, Big Man Panel, Big Panel and more are featured. 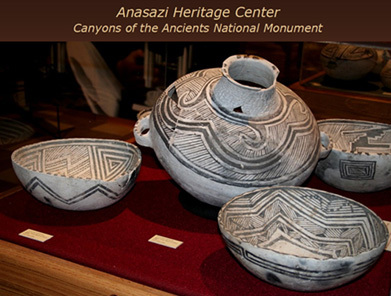 Anasazi Pictography A gallery of pictographs, particularly Painted Cave, Navajo Nation, Arizona. Rock Art The rock art of Canyon de Chelly includes Anasazi and Navajo rock art. Limited text. Links. and Conservation An article summarizing a rock art dating paper about the All-American Man panel together with a commentary about destruction of rock art. One image. Petroglyph Site An article about an arrangement of petroglyphed boulders in Connecticut. 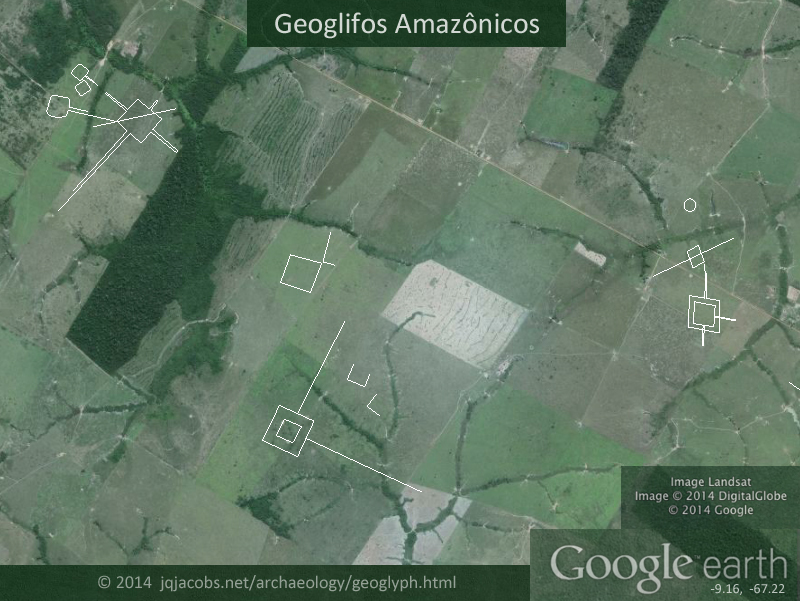 The focus of this essay is on the possible archaeogeodesic significance of the site. No images. 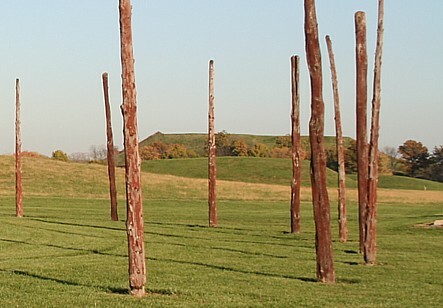 The Archaeo Art Gallery A large page displaying more than 100 background images and other graphics from my web pages. See details for free use. 800 K.
©1998. All rights reserved. Inquiries welcomed.